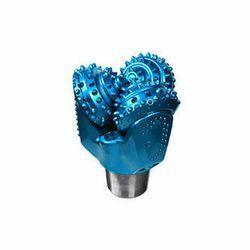 We are a leading Wholesale Distributor of tricone bits, tci tricone bits, tricone rock roller bits, rock bits, drill bits and tube well drilling bits from New Delhi, India. High-quality Tricone Bits which are engineered for efficiency, delivering longer bit life and increase in bearing hours over other ordinary bits. Not only does this maximize your productivity and reduce costs, it also reduces requirements for changing parts, thereby making your operation safer. Our range of TCI Tricone Bits is engineered for efficiency, delivering longer bit life and increase in bearing hours over other ordinary bits. Not only does this maximize your productivity and reduce costs, it also reduces requirements for changing parts, thereby making your operation safer. 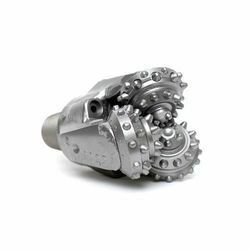 Our range of Tricone Rock Roller Bits is engineered for efficiency, delivering longer bit life and increase in bearing hours over other ordinary bits. Not only does this maximize your productivity and reduce costs, it also reduces requirements for changing parts, thereby making your operation safer. Our range of Rock Bits are engineered for efficiency, delivering longer bit life and increase in bearing hours over other ordinary bits. Not only does this maximize your productivity and reduce costs, it also reduces requirements for changing parts, thereby making your operation safer. Our range of Drill Bits is engineered for efficiency, delivering longer bit life and increase in bearing hours over other ordinary bits. Not only does this maximize your productivity and reduce costs, it also reduces requirements for changing parts, thereby making your operation safer. 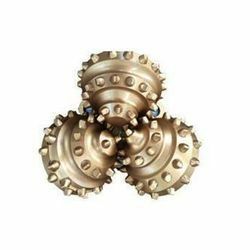 Our range of Tube Well Drilling Bits is engineered for efficiency, delivering longer bit life and increase in bearing hours over other ordinary bits. Not only does this maximize your productivity and reduce costs, it also reduces requirements for changing parts, thereby making your operation safer. High-quality Rock Drill Bits which are engineered for efficiency, delivering longer bit life and increase in bearing hours over other ordinary bits. Not only does this maximize your productivity and reduce costs, it also reduces requirements for changing parts, thereby making your operation safer.